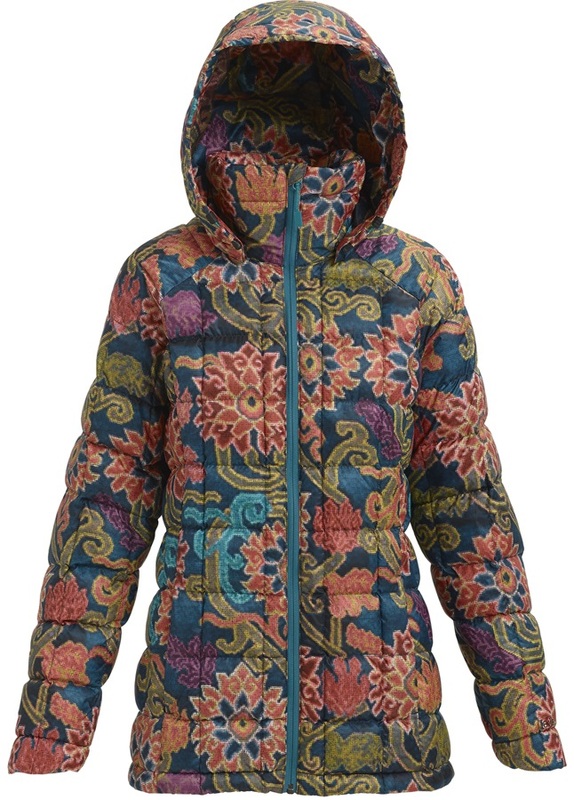 A super stylish shell jacket with lightweight, ultra-warm insulation. 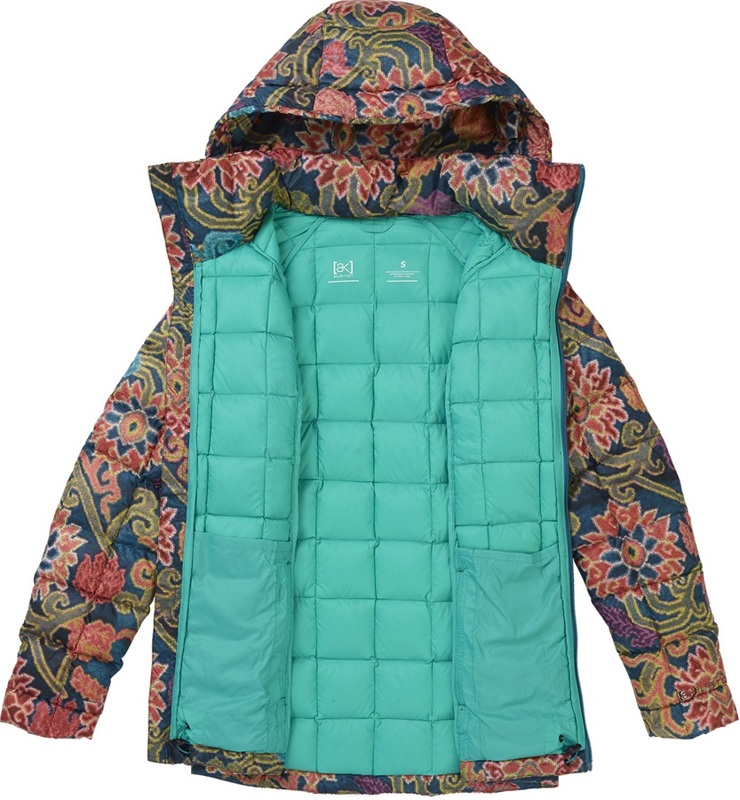 The Women's [ak] Baker Down Insulator jacket is an extremely warm and water repellent ski/snowboard jacket that works great as an insulating mid layer for colder days on the mountain, or as a jacket to be worn around town. 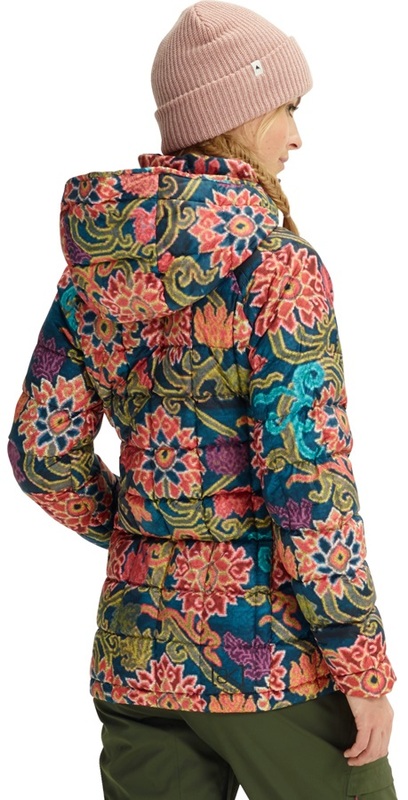 The Baker jacket has supreme insulation and provides exceptional warmth through a 90/10 800 RSD down fill. Down feathers provide extremely high levels of warmth whilst remaining lightweight. The soft and lightweight shell of this jacket is coated with DWR, a water repellent coating, to help fight off the weather when enjoying apres ski. A scoop front shape and feminine fit help create the fantastic styling of the Baker jacket. 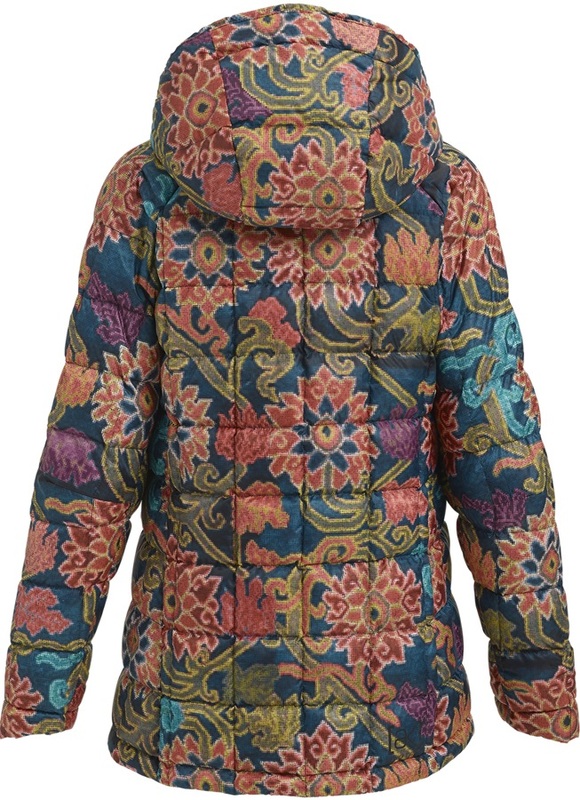 Additional features such as fleece lined handwarmer pockets, shaped collar with fleece chin saver, interior pockets and microfleece cuff gaskets help top off this fashionable yet practical piece of ski attire. If you need a stylish jacket to provide optimum warmth or to wear as a mid layer on colder days then the Burton [ak] Baker Down jacket is the perfect choice.